The field of dentistry is constantly changing and improving, and Dr. Arun Narang & Associates remain dedicated to continuing education to provide you with the best available treatments. One of the most exciting dental advances is Digital Smile Design (DSD). This state-of-the-art system makes it possible for patients to view a precise treatment plan prior to beginning the procedure, helping you to achieve your desired results with greater predictability than ever before. During the residency course, cosmetic dentist Dr. Arun Narang personally trained with Dr. Christian Coachman, a founder of the DSD technology. Part of what makes DSD so exciting is that patients can “try on” their smiles before starting treatment. An extensive set of digital photos will be taken of your teeth and oral structures from a multitude of angles. These images then will be modified to reflect your desired outcome based on your needs, goals, and oral evaluation. Multiple factors will be taken into account, including your facial and dental proportions as well as the relationship between your gums, teeth, smile, and facial features. Once you and Dr. Narang have agreed upon the final aesthetics, a digital mock-up can be printed out for you to view—and even to wear. The 3D printed model can be worn over your natural teeth to give you the most realistic preview possible. Additionally, videos can be created to further help you visualize every detail. This meticulous pre-treatment process can provide you with enhanced peace-of-mind and reduce any concerns that the outcome will be different than what you hoped for. This is particularly true with complex procedures that require a series of treatments, like a Smile Facelift or full mouth reconstruction. 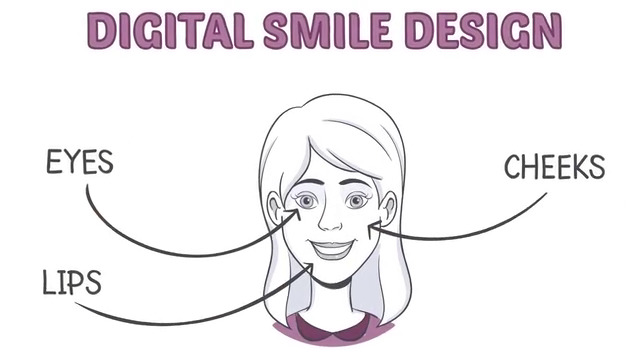 Special thanks to Cherrybank Dental Spa in Scotland for creating and permitting our use of the video, Digital Smile Design Explained, which beautifully presents what can be achieved.